We have over 200 sets of injectors ready to be refurbished in stock at any point in time. All injectors receive a final clean before dispatch and are accompanied by both a test report and new service parts where possible. Please contact us with your injector requirements using the manufacturer's part numbers where possible. 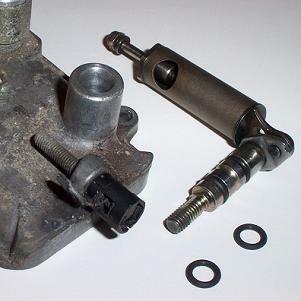 Part numbers are typically cast or printed onto fuel injectors and are usually located near the electrical connector. From £50 per set including next day UK postage. These fuel injectors have been made to our own specification and are ideal for tuning engines fitted with Jenvey style throttle bodies which require more fuel. They are the Weber picoelectronic style and are a direct physical replacement for similar injectors, including those fitted to 106 GTi, Saxo VTS, Clio 172/182 and other Renault 2.0 16v F7R engines (where they are OEM fitment), plus many more. Stable in performance up to 5 bar, giving a maximum 310cc flow rate. 4-hole pintle with fine, v type spray pattern for maximum power. 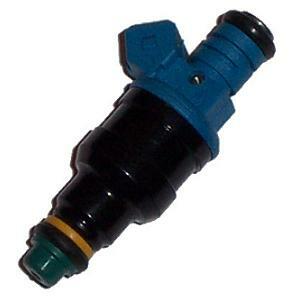 £45 per injector includng next day UK postage. 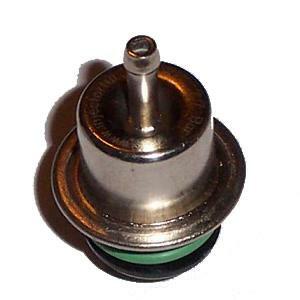 They are the Weber picoelectronic style and are a direct physical replacement for similar injectors, including those fitted to 106 GTi, Saxo VTS and Clio 172/182 models, plus many more. Stable in performance up to 5 bar, giving a maximum 426cc flow rate. 4-hole pintle with fine, conical spray pattern for maximum power. These fuel injectors have been made to our own specification and are ideal for tuning turbo/supercharged engines which require more fuel. 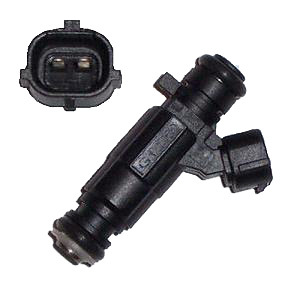 They are physically compatible with most similar Bosch & Lucas injectors (and some others) and use Bosch EV1 style connectors. Standard 65mm o-ring to o-ring length. Stable in operation to 3.2 bar. 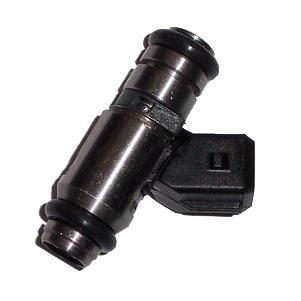 They are physically compatible with most similar Bosch & Lucas injectors (and some others) though use Denso style connectors (see photo). 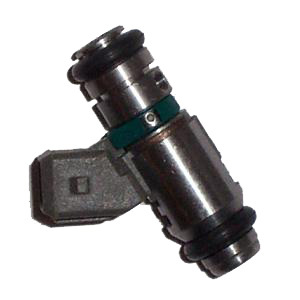 Denso slotted connector (see photo). 53mm o-ring to o-ring length. Stable in performance up to 5 bar, giving a maximum 840cc flow rate. These fuel injectors have been made to our own specification and are ideal for very high output turbo/supercharged engines which require more fuel. They are the Bosch 0280150xxx style and are physically compatible with most similar Bosch & Lucas injectors (and some others). They are a direct replacement for engines where Bosch 0280150563 injectors are already fitted and are commonly used in drag car/Mazda RX-7 tuning. Stable in performance up to 5 bar, giving a maximum 2210cc flow rate. Single hole pintle with fine, conical spray pattern for maximum power. Ideal for high-output RX-7 tuning. 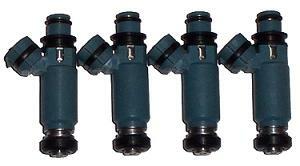 These injectors are a direct replacement for Fiat engines where injector failure is a common problem. Injector failure on these engines is caused by a voltage instability in the injection loom, which eventually causes the injector coil to fail and the injector warning light to illuminate on the dashboard. Injector continuity can be checked with a multi meter across the injector terminals. Any injector reading less than 15 or more than 17 ohms is likely to be causing an engine misfire and can be expected to fail in the near future. 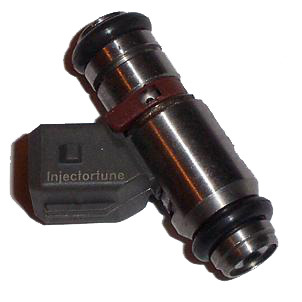 A direct replacement for IWP-001 / IWP001 injectors. Also a replacement for IWP-109 / IWP109 & IWP-064 / IWP064. 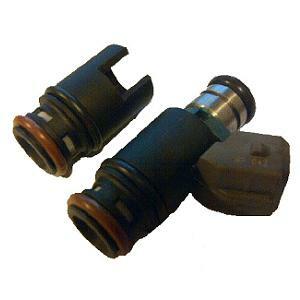 They are the Denso style and are physically compatible with most similar Denso injectors (and some others). They are a direct replacement for engines where Denso 195500-3920 / 3920 injectors are already fitted such as late EJ20 engines and most EJ25 engines in Subaru Impreza WRX models. Standard 60mm o-ring to pintle length. Stable in performance up to 5 bar, giving a maximum 516cc flow rate. 12-hole pintle with very fine spray pattern for maximum power. 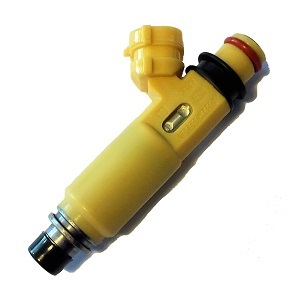 £38 per injector includng next day UK postage. These fuel injectors have been made to our own specification and are ideal for tuning turbo/supercharged engines which require more fuel, including MX-5 turbo conversions. 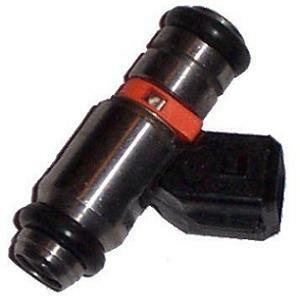 They are the Denso style and are physically compatible with most similar Denso injectors (and some others). They are a direct replacement for engines where Denso 195500-4450 / 4450 injectors are already fitted such as Mazda RX-8 models. Standard 70mm o-ring to pintle length. Stable in performance up to 5 bar, giving a maximum 542cc flow rate. 4-hole pintle with fine spray pattern for maximum power. These fuel injectors have been cleaned, tested and rebuilt using new parts. They are a fully reconditioned set, making them ideal for tuning turbocharged engines which require more fuel. They are a direct physical replacement to the pink (Denso 3910 - 546cc) and blue (Denso 3920 - 400cc) top fed injectors used in later EJ20 and most EJ25 Subaru engines. Standard 10mm (upper) & 16mm (lower) o-ring diameters. Standard 55mm o-ring to o-ring length. New o-rings, filter and intake seal fitted. Stable in performance up to 5 bar. Fine conical spray pattern for maximum power. £200 per set of four includng next day UK postage. These sheathes will fit VW Group 2.3 V5, 2.5 L5 & 2.8 VR6 engines fitted with Weber/Marelli pico type injectors (Usually IWP-022 / IWP022 fitted (but not limited) to AFP, AES and AGZ engines ). Factory heat protectors become brittle over time and frequently break, causing engine misfire/management problems due to the dissipation of heat into the injector body. These sheathes have been fitted with new o-rings and are a simple (but careful) push-fit once the old sheathes have been carefully removed. Once fitted they will protect your injectors for tens of thousands of miles. As far as we are aware, we are the only supplier of these in Europe as VW Group will not sell them separately from their respective injectors. We also supply these in discounted sets of 5 or 6. Please contact us if you would like to purchase such a set. £10 each includng next day UK postage. 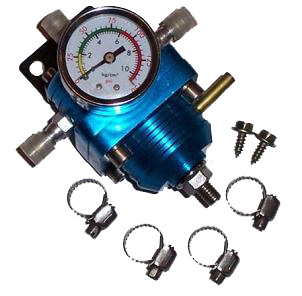 This universal regulator enables fine tuning of the fuel/air ratio of the mixture entering your engine. Ideal for forced induction/throttle body conversions and essential for making the best power gains possible from an induction kit. 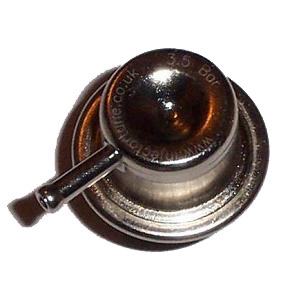 Replaces any regulator using 10mm & 25mm o-rings. Fits in the fuel rail of many European engines. Fitting is a straightforward job for most mechanics and engine tuners (we recommend using a little engine oil on the o-rings and a deep socket to aid fitting). The regulator comes with a 3-year, unlimited mileage warranty (replacement). Please use the photo and o-ring measurements to decide whether the regulator is suitable for your application. £20 including next day UK postage. Features in, out, return & vacuum pipes. Includes instructions, support bracket & fitting kit. Fitting is a straightforward job for most mechanics and engine tuners. The regulator comes with a 3-year, unlimited mileage warranty (replacement). 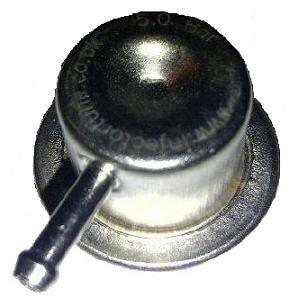 Please use the photo to decide whether the regulator is suitable for your application. £35 including next day UK postage. 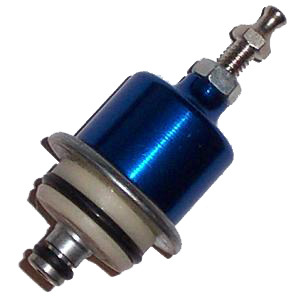 Suitable as either a replacement part or for tuning engines that require more fuel. For tuning, our regulator helps eliminate low-rev flatspots that are required to meet Euro emmissions and fuel economy regulation, reducing engine pick up time from low revs and giving more top-end power. We recommend fitting one in conjunction with an inducton kit for maximum performance benefit. Our regulator also safely allows small ajustments to boost levels during ECU remapping. 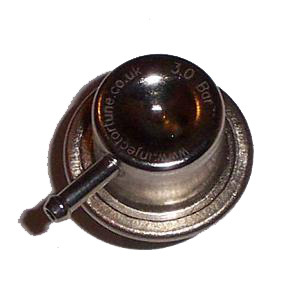 The regulator uses a standard 25mm & 10mm o-ring fitment common to many other regulators. It will not replace regulators using 8mm lower o-rings. This is an easy-fit replacement/modification at a rock-bottom price and comes with a 3-year, unlimited mileage warranty (replacement). £18 including next day UK postage. For tuning, uur regulator helps eliminate low-rev flatspots that are required to meet Euro emmissions and fuel economy regulation, reducing engine pick up time from low revs and giving more top-end power. 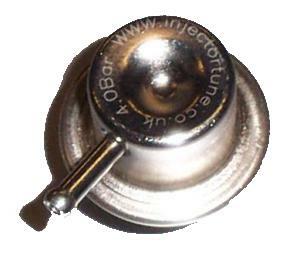 We recommend fitting one in conjunction with an inducton kit for maximum performance benefit. Our regulator also safely allows small ajustments to boost levels during ECU remapping. This is an easy-fit modification at a rock-bottom price and comes with a 3-year, unlimited mileage warranty (replacement). These fuel pumps have been made to our own specification and are ideal for tuning engines which require more fuel. These are considered an essential when tuning some Impreza EJ20 / EJ25, Ford YB Cosworth and various Porsche and Nissan engines. 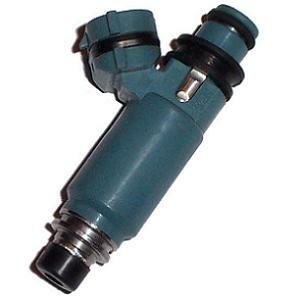 They are built to the same high-specification as the Bosch 0580254044 / 044 pump and are a direct physical replacement for models where the pump is already used. 274 litres/hour max flow rate at 8.5 bar (within 5%). M12 inlet & M12 outlet connections with no-return valve. Individually tested prior to packing. Complete with electrical fitting kit. Can be used as an internal, in-line or external pump. Rated to around 600hp for F/I and 700hp for N/A applications. 1 year unlimited mileage warranty (replacement) from date of purchase. 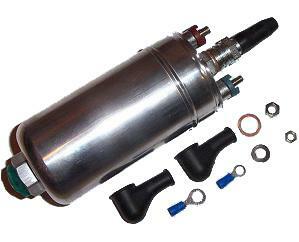 £55 per fuel pump includng next day UK postage. They are built to the same high-specification as the Walbro GS342 / 225L pump and are a direct physical replacement for models where the pump is already used. 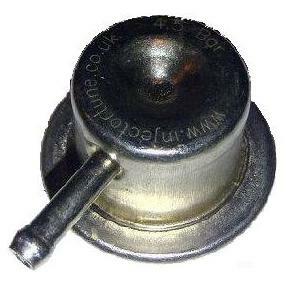 Designed for internal tank use. Rated to around 500hp for F/I and 600hp for N/A applications. 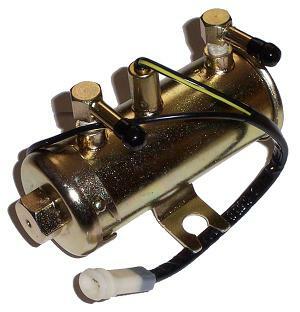 £45 per fuel pump includng next day UK postage. They are built to the same high-specification as the Walbro GS341 / 340L pump and are a direct physical replacement for models where the pump is already used. Rated to around 600hp for F/I and 680hp for N/A applications. 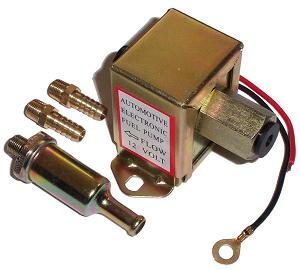 These fuel pumps have been made to our own specification and are ideal for tuning engines which require more fuel. They are built to the same high-specification as the Facet 'Cube' pump and are a direct physical replacement for engines where the pump (SS502 / 40106) is already used. Standard 12 volt negative earth operation. Complete with M10 8mm unions and filter. Operates in -31 to +55 deg C temperatures. 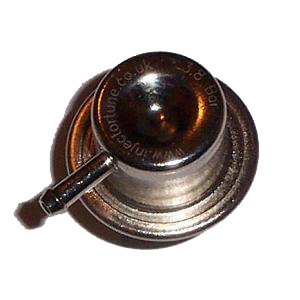 £23 per fuel pump includng next day UK postage. They are built to the same high-specification as the Facet 'Red Top' pump and are a direct physical replacement for engines where the pump (RTW506 / 480532E) is already used. Complete with M10 8mm unions and 2-pin connector. Operates in -60 to +43 deg C temperatures. 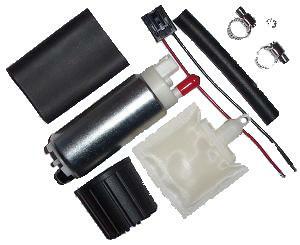 £40 per fuel pump includng next day UK postage. Brand new viton throttle spindle shaft seals for Lucas/CAV DPC type diesel pumps. May also fit DPA and DPS pumps. These often perish on the various European models that use such pumps. Symptoms of seal failure include poor starting (often requiring hand priming - particularly in cold weather), a reduction in fuel economy and visible diesel leakage around the throttle shaft. Fortunately, they can be replaced without removing the pump from the engine. The photo shows the cover from a DPC pump as fitted to a Peugeot/Citroen 1.9 XUD engine. Each purchase is for the two viton seals in the bottom right hand corner, which are also show in situ on the throttle shaft immediately above. For reference the OD of the seals is 10mm (please use this to check against your existing seals before purchase as we do not keep a record of what vehicles our seals will fit). £10 per pair of seals includng next day UK postage. 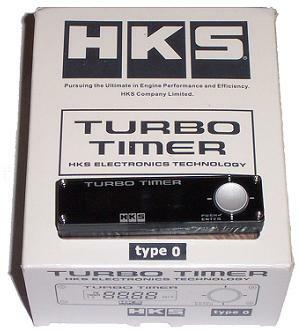 A brand new turbo timer suitable for a variety of applications. Includes control unit, display unit, wiring and instructions. Does not include model specific wiring loom. Fitting by a competent person/professional is essential. £50 per timer including UK delivery.